CES came and went by bringing news of the Galaxy Note LTE to Canada. We first heard of TELUS getting the Galaxy Note LTE and today we heard from both Rogers and Bell that they too will nab the 5.3-inch "ph-ablet". 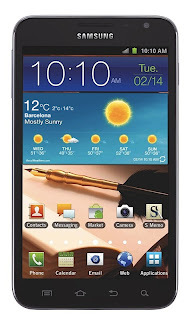 According to Best Buy Canada the Galaxy Note will be hitting the Big 3 on Valentine's day.